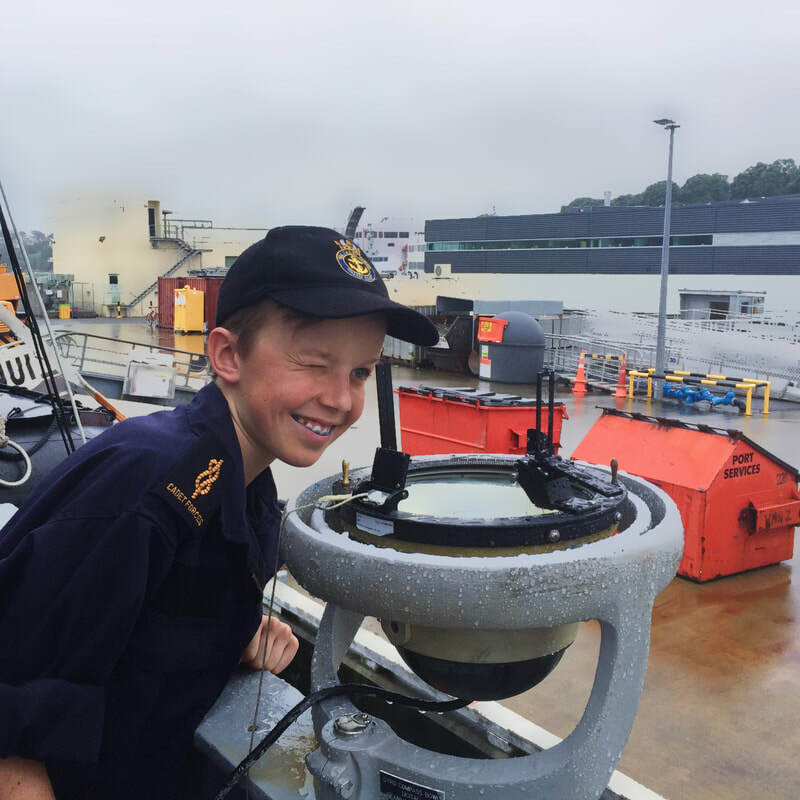 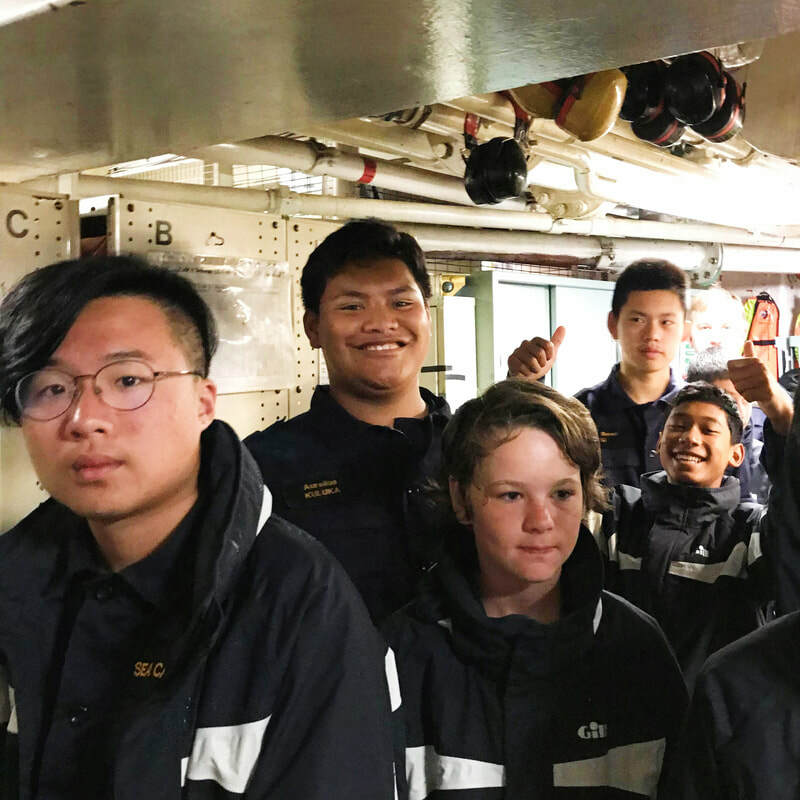 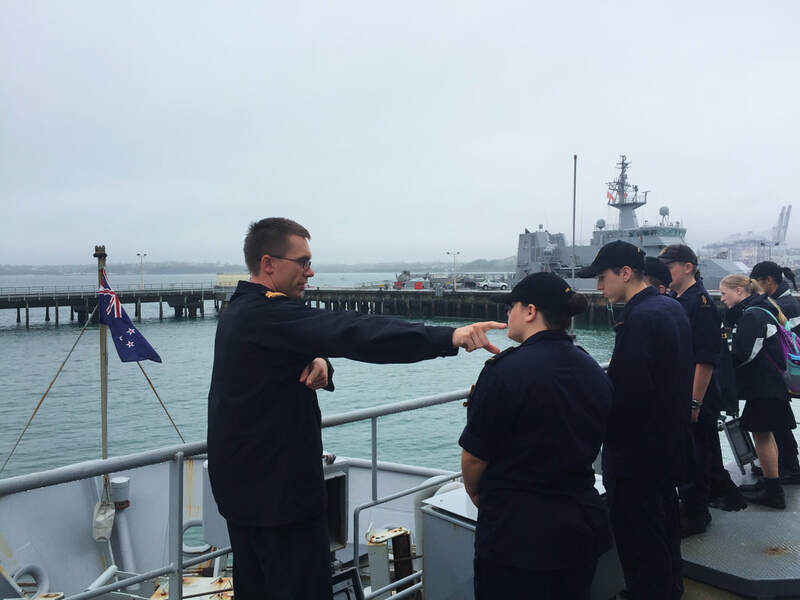 Cadets from Training Ships Bellona and Leander were invited to visit HMNZS MANAWANUI before she decommissions in late February. 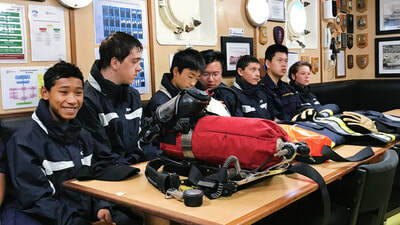 MANAWANUI is the Navy’s current dive tender. 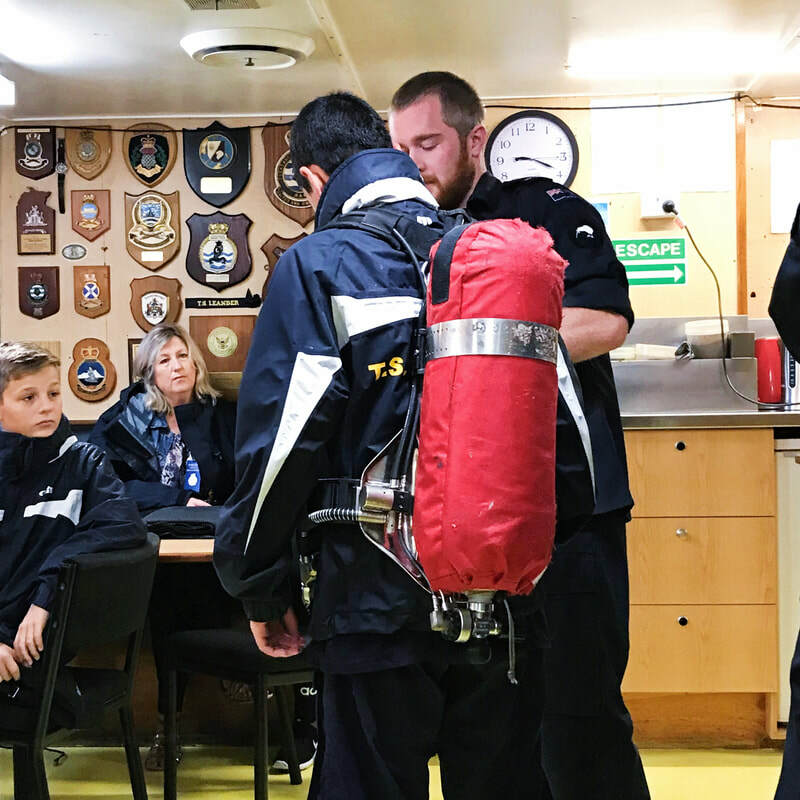 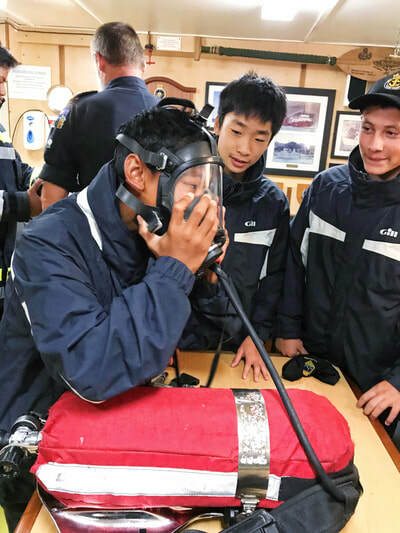 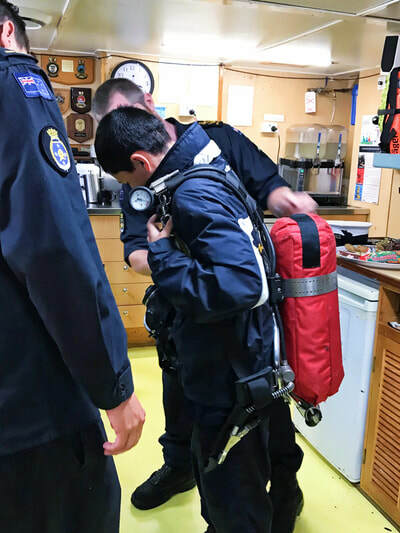 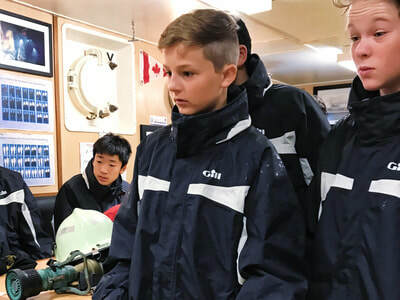 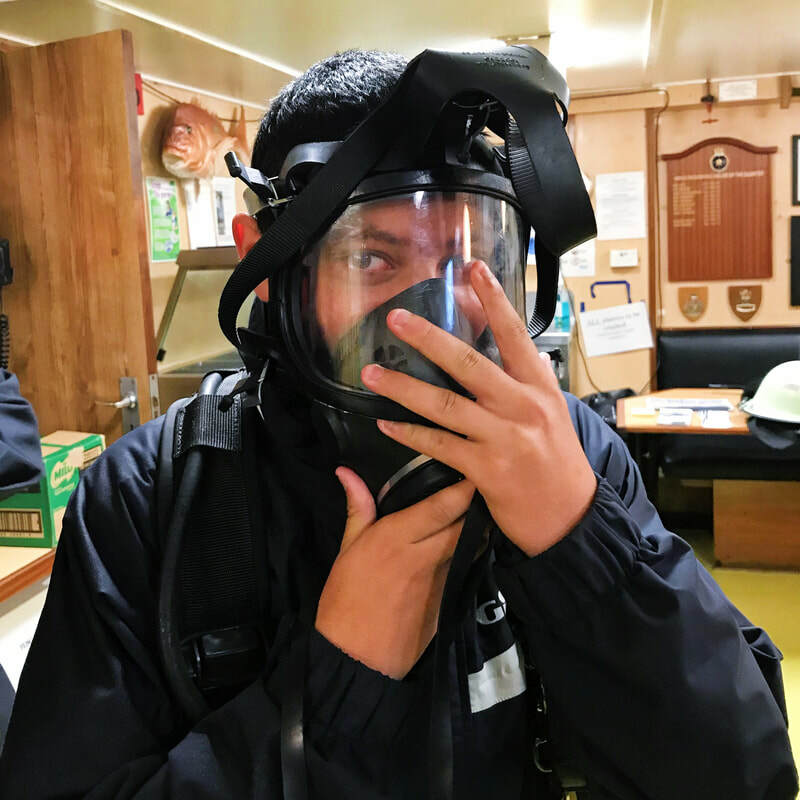 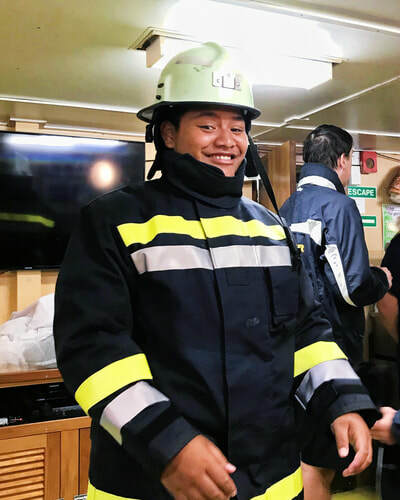 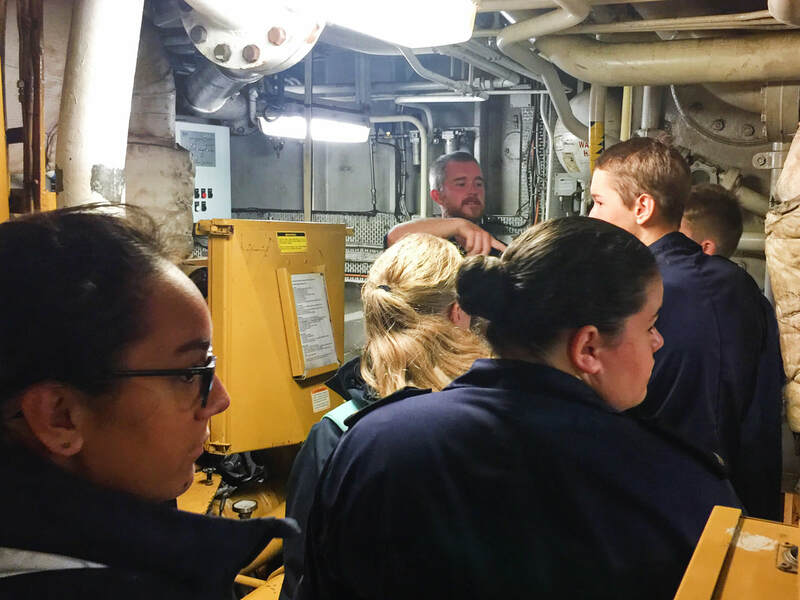 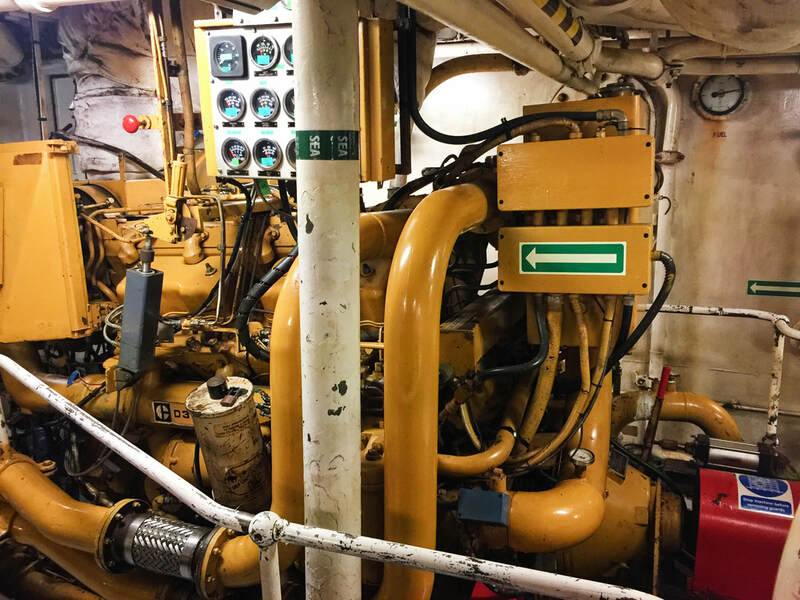 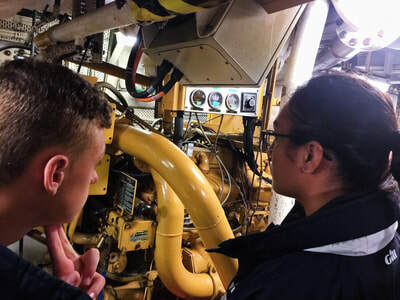 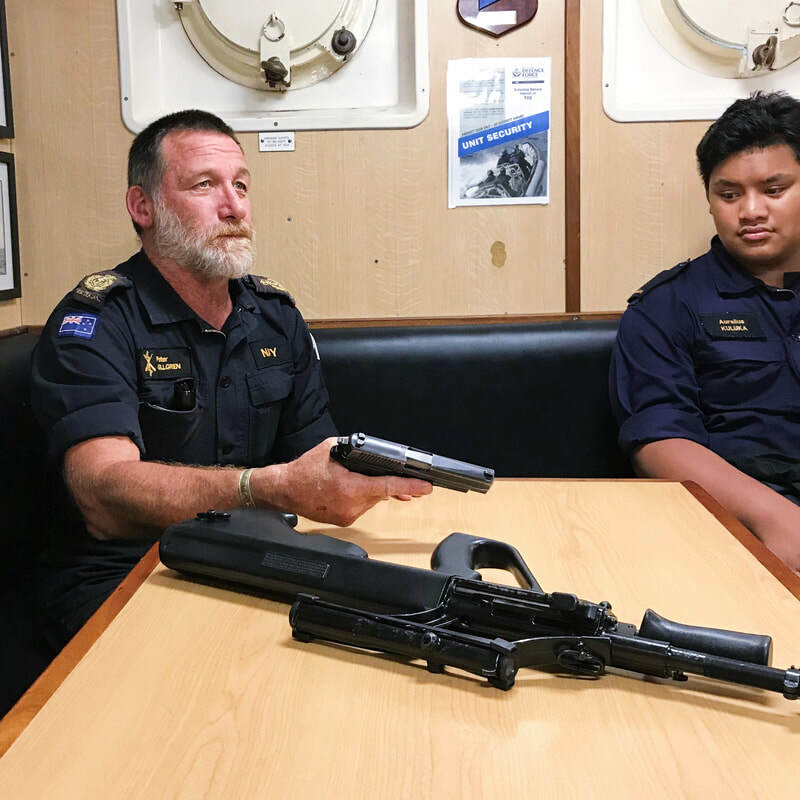 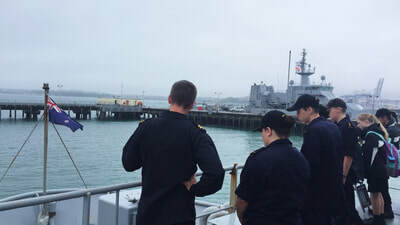 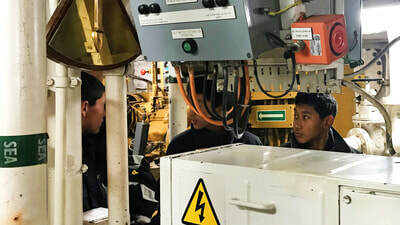 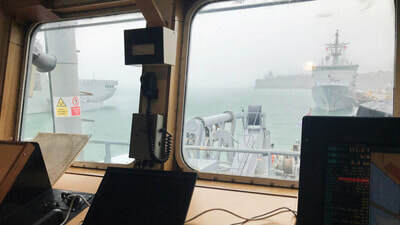 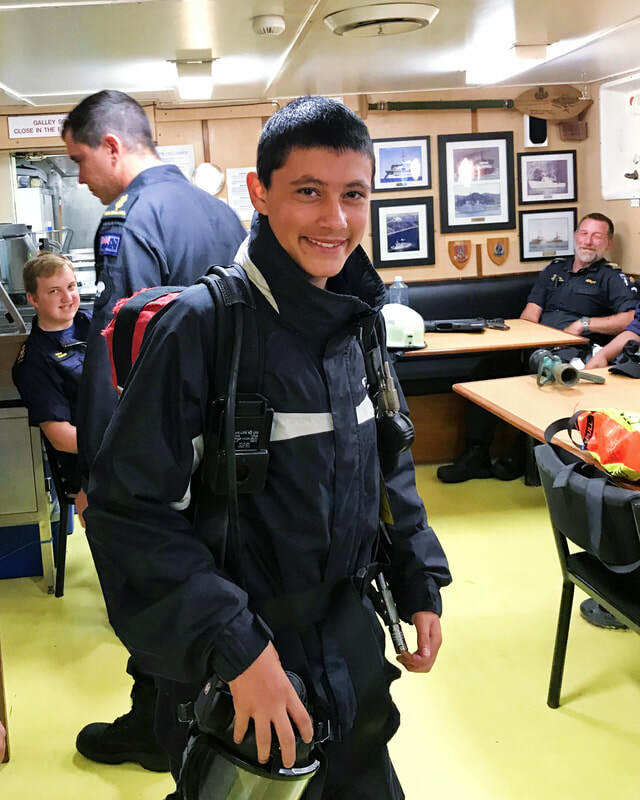 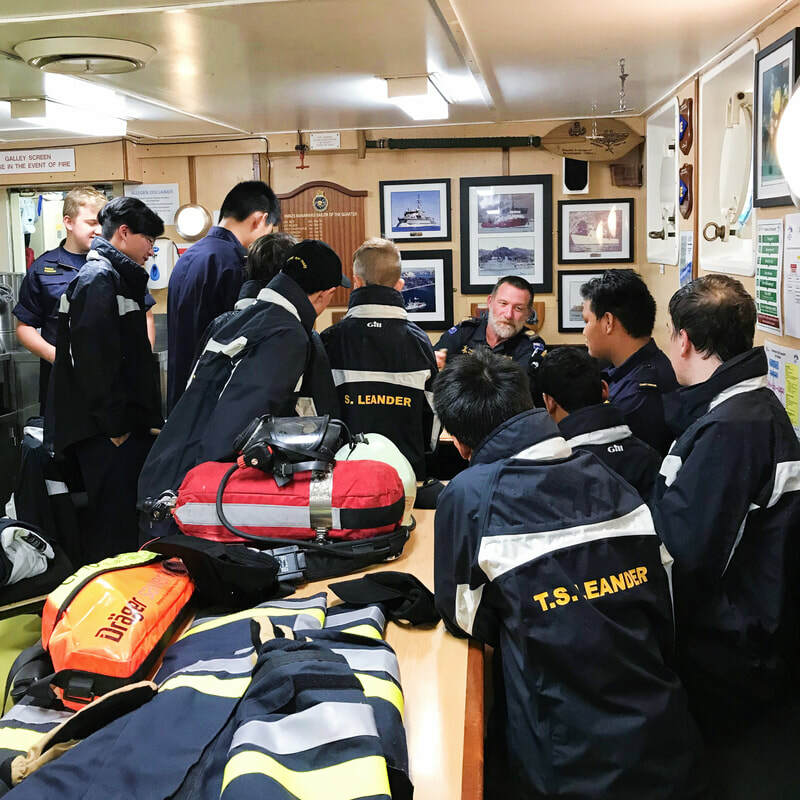 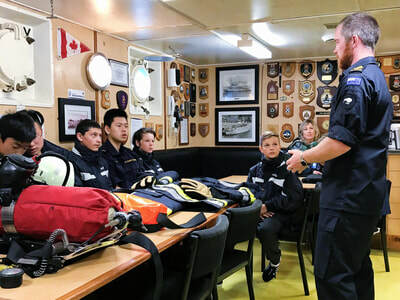 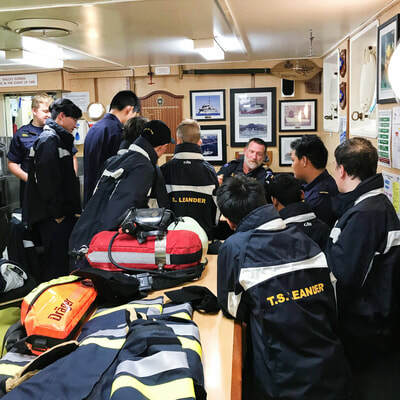 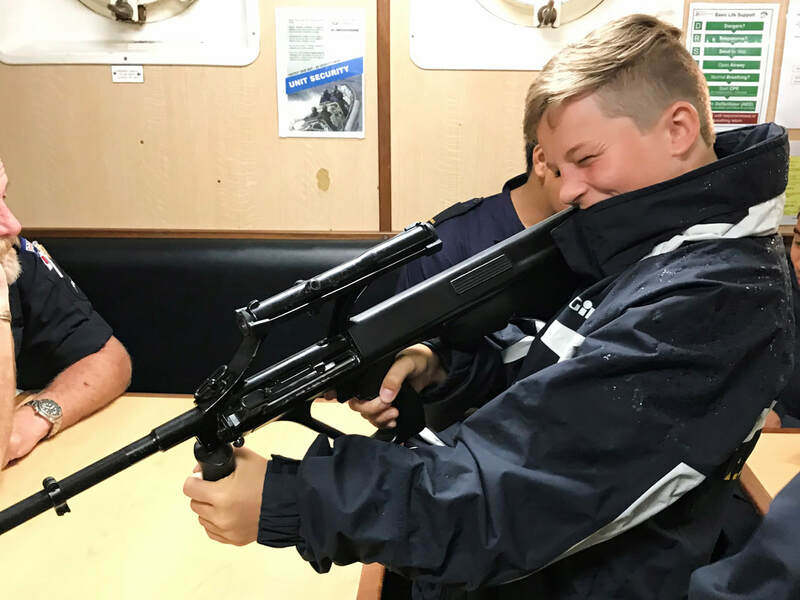 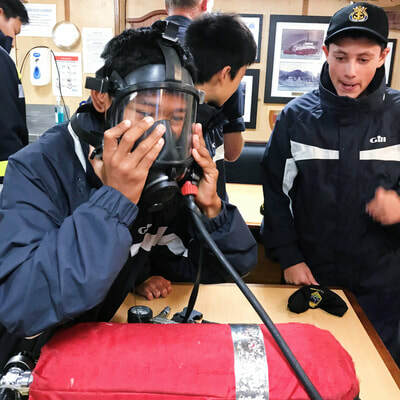 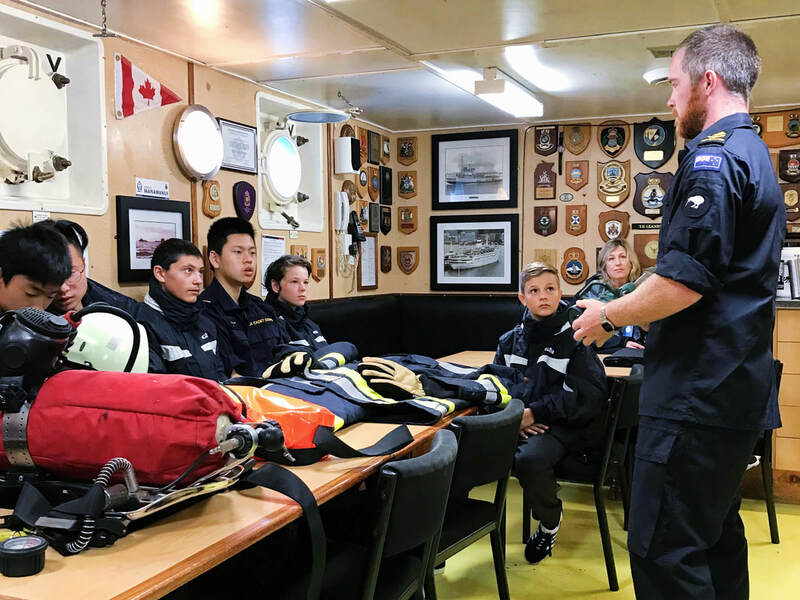 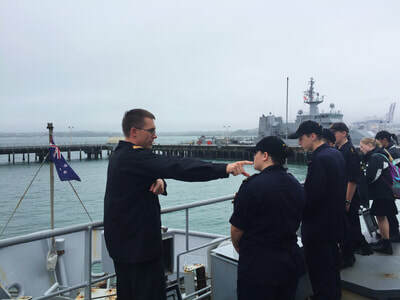 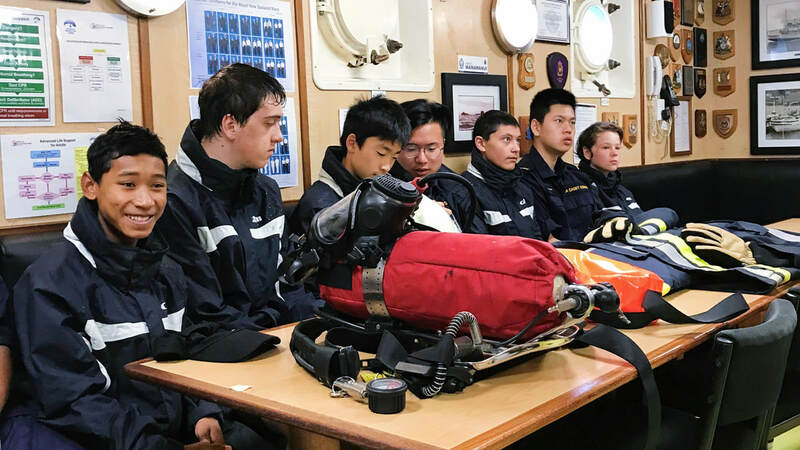 The Executive Officer of HMNZS MANAWANUI, Lieutenant David Jaquiery and various members of the Ship’s Company showed the cadets around their ship and gave presentations on their roles and some of the equipment they use. 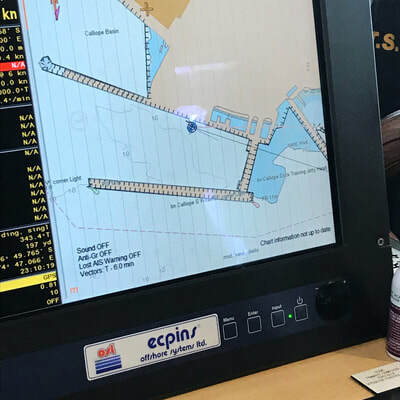 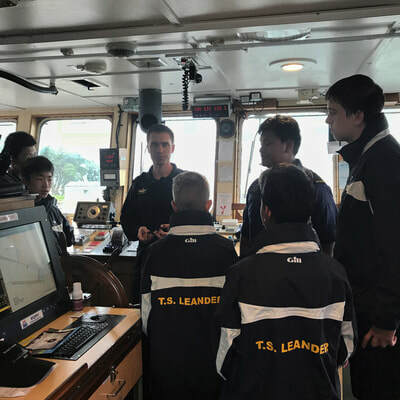 The cadets saw the different systems that MANAWANUI uses, these included navigation systems, radio equipment, the anchoring system they use. Lt Jaquiery explains the systems in the bridge. 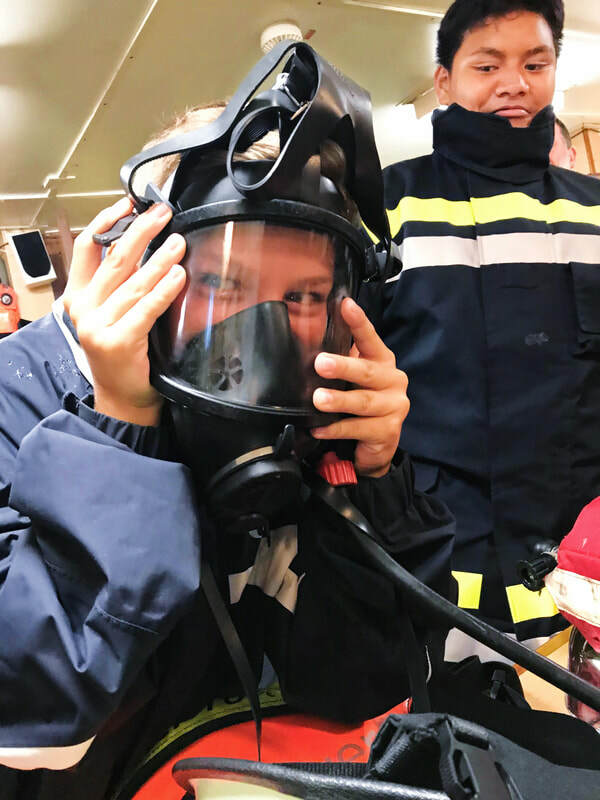 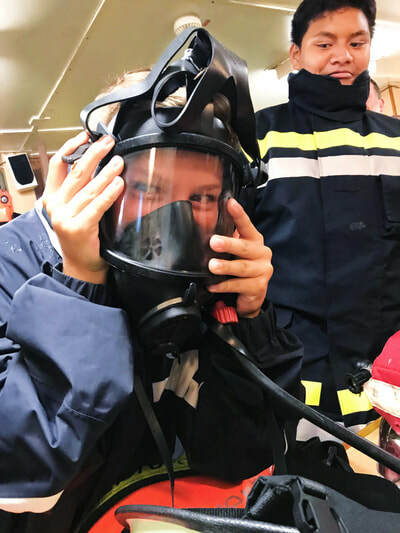 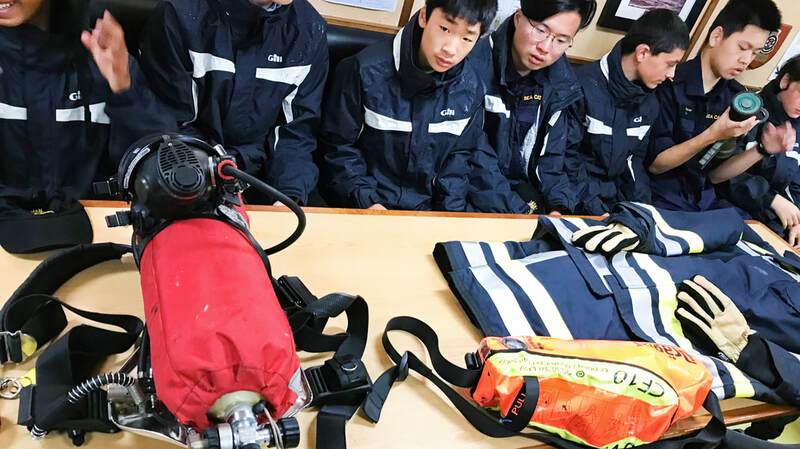 The cadets got a feel of the SIG Sauer P226, and the Steyr AUG.
Cadets got to wear and uses the firefighting equipment MANAWANUI use. 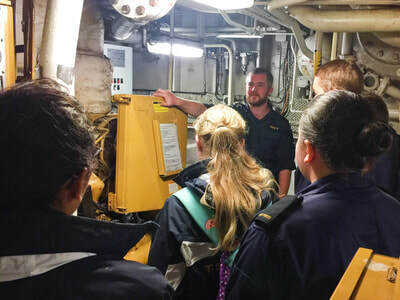 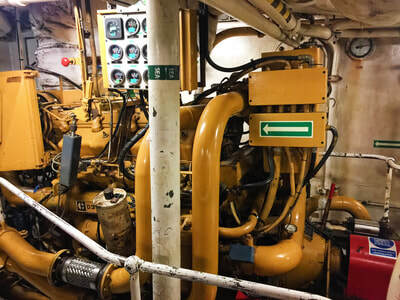 Cadets got to see inside the engine room, which was still hot even though the engines were off!